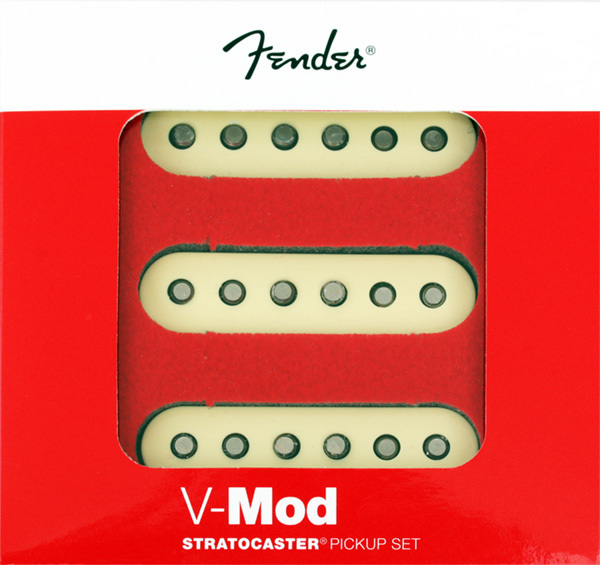 These new V-Mod pickups are the same ones installed in the new Professional Strat®. To bring out the musicality and tonal nuances of these pickups, we used the inherent characteristics of various alnico formulations to create the best blend and balance along the neck, in any switch position. In the neck pickup, alnico 2 under the bass strings, combined with alnico 3 magnets under the treble strings provide the richness and clarity you expect from the neck pickup. Featuring alnico 2 magnets on the bass side, and alnico 5 on the treble side, the reverse-wound/reverse-polarity middle pickup cancels hum when used in positions 2 or 4. 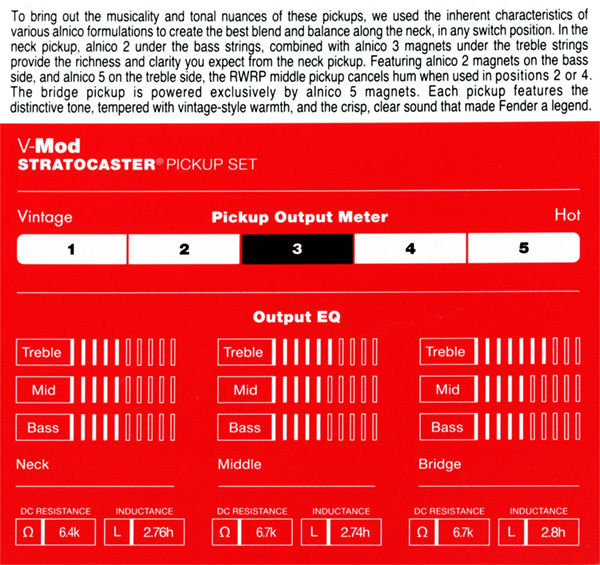 The bridge pickup is powered exclusively by alnico 5 magnets. Each pickup features the distinctive tone, tempered with vintage-style warmth, and the crisp, clear sound that made Fender a legend.